Soothing and rejuvenating your skin has never been easier with our face toner: composed of the best ingredients with skin-loving benefits, for total complexion care. While niacinamide and calendula extract soothe and reduce skin discomfort, aloe vera juice and coconut extract moisturise and revitalise the epidermis. Say hello to healthy skin! 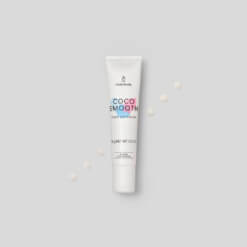 Coconut extract: softens and smooths the skin. Calendula extract: soothing and regenerating properties. Aloe vera: maintains the health of the skin. Step 1: After having cleansed your skin, soak a cotton ball with the toner and apply to your face and neck in a circular motion, allowing the benefits to fully absorb. Step 2: Do not rinse, simply follow up with a hydrating face cream. Use our face toner morning and evening to significantly reduce skin discomfort and irritation. Our face toner has been formulated without alcohol to bring your skin only the best, with no compromise! The routine that moisturises and soothes. 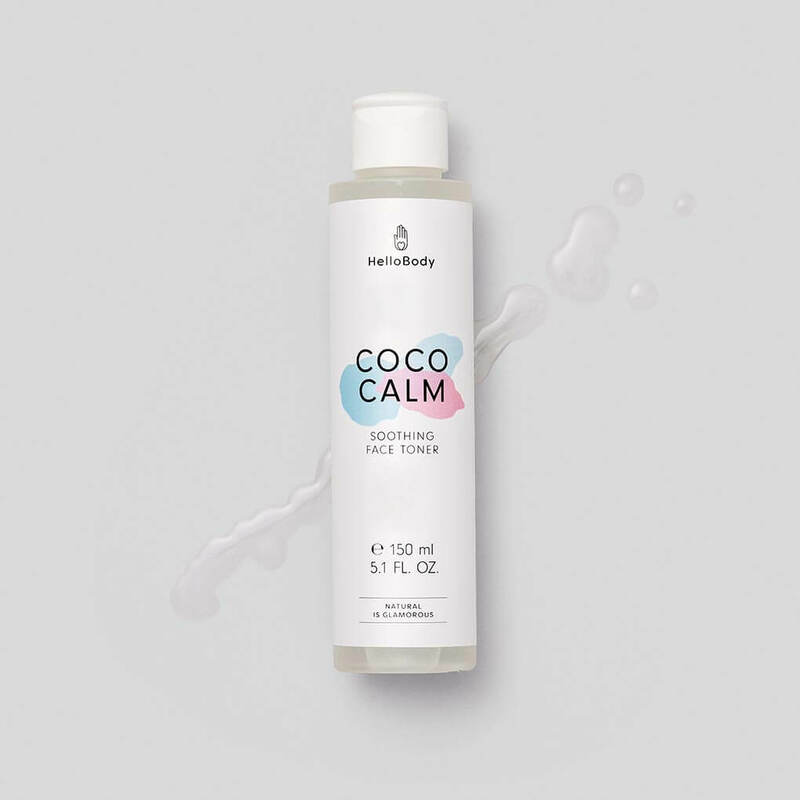 Combine our day cream COCO DAY and the COCO CALM. The routine that takes care of your skin around the clock. 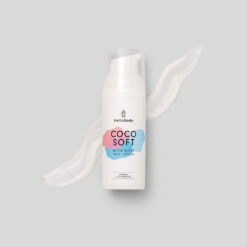 Combine our cleansing foam COCO FRESH, our day cream COCO DAY, our moisturising night cream COCO SOFT and the COCO CALM. The routine that says goodbye to excess sebum and skin discomfort. 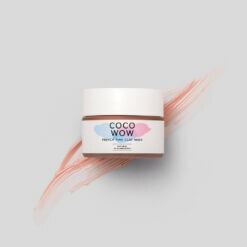 Combine our matte pink clay mask COCO WOW, our moisturising night cream COCO SOFT and the COCO CALM. Your benefits signing up are: You do not need to type all your data again when ordering as well as you are enabled to keep the overview and track of all your orders. You stay informed with our newest campaigns, you are enabled to earn credit with our refer a friend programme and your are able to securely manage your payment methods and addresses with your Hellobody account. We strive to improve our products constantly, taking into account your feedback. For this reason, the list of ingredients is subject to change from time to time. Please refer to the product package for the most up-to-date information. We strive to improve our products and packaging constantly, taking into account your feedback. It may therefore be that the quantity varies of a few grams. Please refer to the product package for the most up-to-date information. The consistency and colour of the natural ingredients contained in our products is likely to vary under the effect of varying temperature or cultivations conditions. Although it might slightly change their appearance, this does not affect their benefits, nor the quantity contained in the products. * Possible customs duty or the local taxes are to be paid by the recipient. Delivery costs are estimated and updated during the purchasing process. They are based on your billing and shipping address. Our delivery times may vary. Once your order has been accepted, please allow 1-3 working days for your order to be processed by our warehouse. When your package has been shipped and you receive your shipping confirmation email, please allow the necessary delivery time. You can find the delivery time relevant to you listed in the table below. If you have not received any shipping confirmation within 10 days of your purchase, please contact our customer care.